Members of The Success Foundation Board braved the heat to volunteer at the 4th Annual D6 School Kickoff Community Celebration at Island Grove Regional Park. 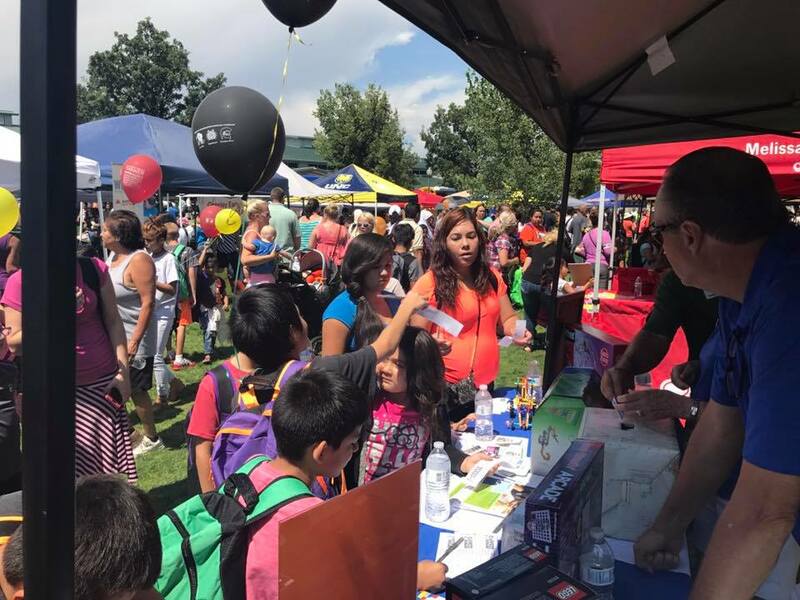 The event was held on August 12, 2017, and was a huge party! There were plenty of vendors with food, popsicles, and cold drinks, as well as live entertainment and prizes for the students. We were happy to be a sponsor of this wonderful event, that helped provide 3,150 backpacks to students full of school supplies and goodies! We decided to set up a drawing, where students could enter to win one of seven awesome prizes. Among these prizes were Lego Architecture Sets, Deluxe K’nex sets, a circuit building kit, and a kit to build a robot out of a tin-can! (That was a crowd favorite!) Our mission this year has been to expand blended learning in the classroom, so, we focused on toys that were innovative, creative, and would inspire our district 6 students to learn, and have fun while doing it! 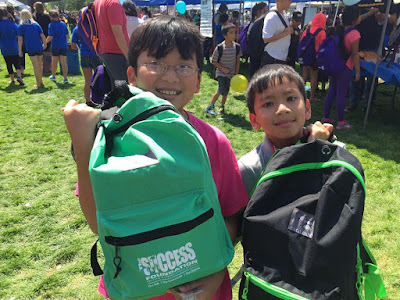 The Success Foundation saw the District 6 Kickoff as an opportunity for kids to not only sign up for awesome prizes, but more importantly, get to know us. We have been working very diligently to establish a larger presence in our community. This includes not only our wonderful donors and supporters, but also the students and families we are supporting in our thriving district. We had a wonderful time engaging with the students, as well as their parents, siblings, and friends. This gave us a huge opportunity to spread awareness about our organization through the school district. 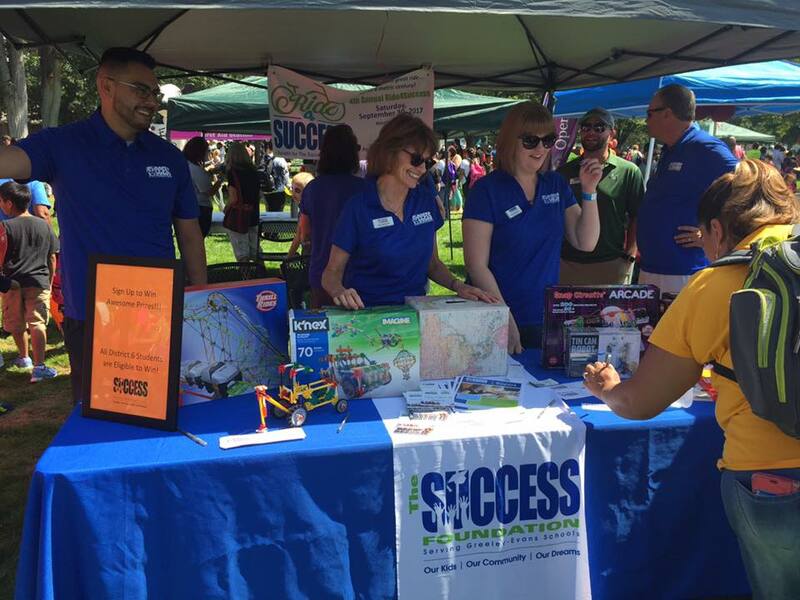 A lot of the attendees hadn’t heard of The Success Foundation, so it was a great event to help us gain awareness throughout our community! 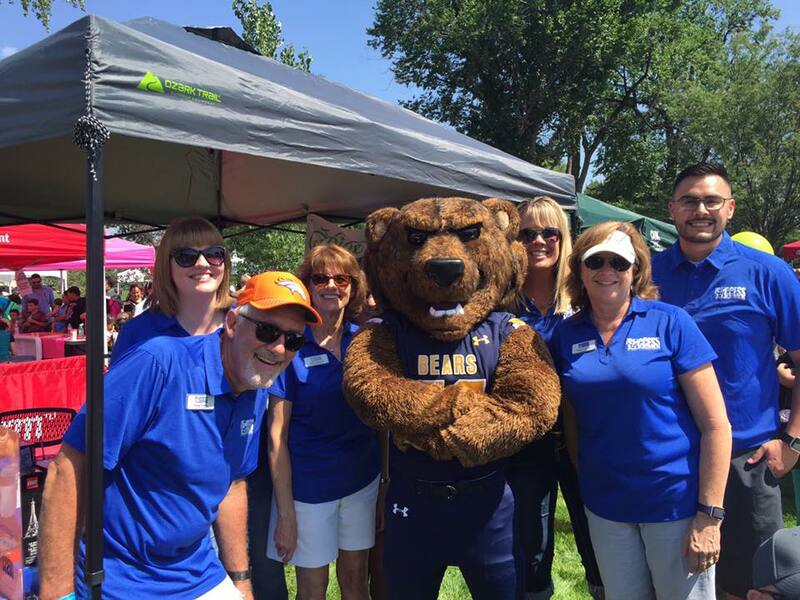 Our members had a wonderful time at this event, and we can’t wait to do it again next year!